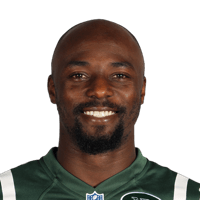 Published: Aug. 28, 2014 at 11:09 p.m.
Chicago Bears wide receiver Santonio Holmes takes a David Fales pass 32 yards to the endzone. Published: Dec. 26, 2010 at 05:59 p.m.
(:58) (Shotgun) M.Sanchez pass deep left intended for S.Holmes INTERCEPTED by C.Harris at CHI 41. C.Harris ran ob at CHI 41 for no gain. Published: Dec. 26, 2010 at 04:24 p.m.
Bears DB Chris Harris intercepts Mark Sanchez and seals the win for Chicago. Published: Dec. 26, 2010 at 03:26 p.m.
(6:58) S.Holmes left end to NYJ 41 for 3 yards (T.Jennings). FUMBLES (T.Jennings), RECOVERED by CHI-C.Harris at NYJ 45. C.Harris to NYJ 45 for no gain (D.Lowery).